We kicked-off this two-part series on regression two weeks ago with Regression | Understanding What Could Be the Fix for Your Mood and Anxiety Misery. In that piece, we learned that psych legends, such as Sigmund Freud, believed regression is a short or long-term reversion of the ego to an earlier stage of development. So in the face of an intolerable immediate reality, one escapes to a time when satisfaction and gratification were never-ending. Regression can become a major problem, as it holds the potential to generate all sorts of mood and anxiety yuck – and more. Would you agree that in discussing emotional regression treatment, we’re really talking about growing ourselves back up? Sure we are. Well, here’s a book you need to know about. Growing Yourself Back Up: Understanding Emotional Regression, written by teacher, author, and life coach John Lee, is just the perfect resource to get us where we need to go. Though we’re going to use the book in an effort to treat regression, Lee brings a ton of insight into what regression is. Included are his Red Flags of Regression: raging and hysterics, distorted or unreal time, physical symptoms, talking and talking without saying anything, not talking enough, feeling that you don’t have a choice, thinking you know best, minding other people’s business, and asking childish questions. He goes on to discuss Understanding Trance Regression and Conscious Regression. And he provides great information on physical, psychological, and other causes. We are all capable of growing ourselves back up when we need to do so. The following five things will help you to stop emotionally regressing, or at least help to bring you back to your adult state sooner: attention, empathy, time, touch, and release. They can be applied alone or, better yet, in combination. Attention: We need to give ourselves and others a very special kind of attention that comes from gentle eyes, a soothing touch, or a simple nod of the head. It isn’t about fixing anger or drying tears. It’s about patience, and letting the sufferer know s/he is being heard. Touch: Scientist and researcher Candice Perth says in her book Molecules of Emotion, “In the case of treating mood disorders and other mental unwellness, the mainstream misses a lot by excluding touch.” Lee reminds us, appropriate touch can grow a person back up. Touch that is used inappropriately, or at the wrong time, can deepen the regression. Release: Out of his five biggies that’ll grow us back up, Lee believes release is numero uno. He observes that in general, Americans, for example, are all for emotionally letting loose at parties, sporting events, etc. However, they typically consider outward expression of emotions in everyday life uncivilized, especially emotions perceived as negative. Fact: if we can’t release, we can’t take in all we need to live a full life. When our bodies are full of unexpressed emotion, our thinking is dull. When we clear our bodies of stored emotions, our thinking clears up, as well. I’d like to share one more gem from Lee. He designed what he calls the Detour Method to help us avoid dumping “stuff” from the past onto innocent people in the present. 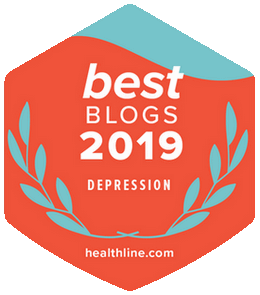 Lee believes not using the Detour Method is a leading cause of divorce, misunderstandings, premature termination of friendships and working relationships – even parent-child relationships. If your body has not had its say, if your emotions have been held in for too long, then don’t dump on the wrong person just because they happen to be close to you. Go to a third party – an objective person who will hear you out and not be pulled into your regression. Find someone who will allow you to say, do, or feel what you needed to say, do, or feel many years ago. With the help of this third party, you can regain your adult state. Only then should you go and tell your loved one what you need. It’s a shame space constraints prevent me from sharing more from John Lee. 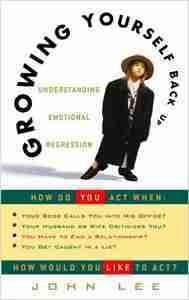 Growing Yourself Back Up is a marvelous book, and I encourage you to grab a copy – absorbing and working it. So, regression – a fascinating phenomenon, don’t you think? And so relevant when it comes to the very foundational causes of our mood and anxiety misery. I find that extremely hopeful, because it means if we’re able to acknowledge and manage our regression, the opportunity for lasting healing is incredible. Can you buy that? Sure hope so. 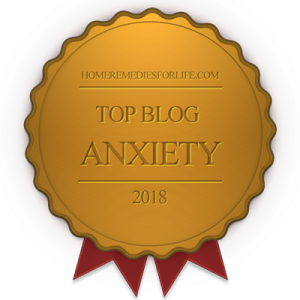 679 mood and anxiety disorder titles are here for you. Go ahead, take a peek.